One of the most decorated Allied servicewomen of World War II, Nancy Grace Augusta Wake was known to the Gestapo as “The White Mouse” for her ability to evade detection and capture. The New Zealand-born heroine joined the French Resistance in 1940 but was forced to go into hiding after her network was betrayed. She continued to work undercover and once cycled more than 500 miles through several German checkpoints to replace codes that her wireless operator had been forced to destroy during a raid. Later in the war, she joined the Special Operations Executive (SOE) and was parachuted back into the Auvergne region of France to provide guerrilla groups with arms. Her compatriots praised her strength and courage, two qualities she needed in abundance when she killed an SS sentry with her bare hands to stop him raising the alarm during a raid. After the war ended, Nancy was awarded the George Medal, the US Presidential Medal Of Freedom, the Médaille de la Résistance and three Croix de Guerres from France. She also discovered that her husband had died at the hands of the Gestapo in 1943, having refused to reveal her whereabouts. 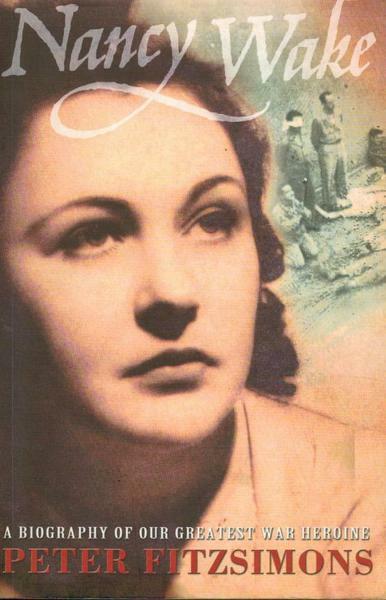 Nancy Wake was born in Wellington, New Zealand, on 30th August, 1912. The family moved to Australia in 1914 and after being educated in Sydney she travelled to Europe where she worked as a journalist. In Nazi Germanyshe saw the rise of Adolf Hitler and Anti-Semitism. On one occasion in Vienna she witnessed Jews being whipped by members of the Sturm Abteilung (SA). In 1939 Nancy married the wealthy French industrialist, Henri Fiocca, in Marseilles. Nancy was in France when the German Army invaded in May 1940. After the French government surrendered, Nancy joined the French Resistance. She worked with Ian Garrow’s group helping British airmen shot down over France to escape back to Britain. In December 1940 the network was betrayed and Nancy was forced to go into hiding. She continued to work for the French Resistance and was eventually arrested while in Toulouse. However, the authorities did not realize they had captured the woman known as the “White Mouse” and she was released after four days. Nacy Wake now joined the Special Operations Executive (SOE) and agreed to become a British special agent. Her training reports said “a very good and fast shot” and she “put the men to shame by her cheerful spirit and strength of character”. Vera Atkins, who worked in the SOE’s French section, remembered her as: “A real Australian bombshell. Tremendous vitality, flashing eyes. Everything she did, she did well”. On 29th April 1944, Nancy was parachuted into the Auvergne region of France. Her main objective was to locate local bands of the Maquis and to provide them with the ammunition and arms that were being dropped by parachute by the Royal Air Force four times a week. 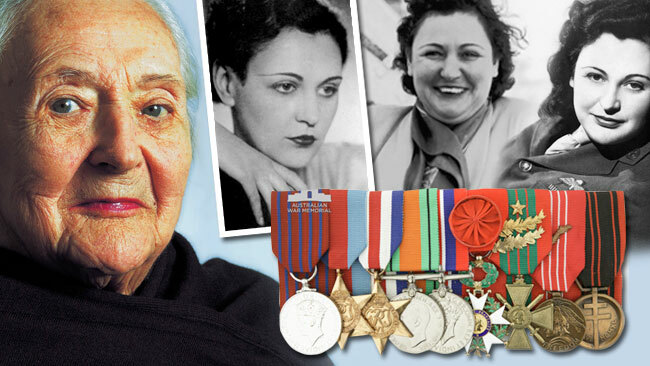 Nancy Wake died on 7th August, 2011. This entry was posted in Historical, Uncategorized and tagged France, Heroine, Kiwi Legend, Nancy Wake, New Zealand, White Mouse, WWII. Bookmark the permalink.